Thank you everyone for entering my anniversary contest! 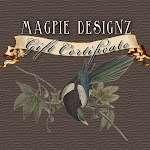 Look back soon for more giveaways, promotions, sales and new designs! NOTE: If I do not hear from JMcourt6 within 24 hours, I will choose a second place winner. *Random.org was used for contest results.